Infrastructure Victoria has called on the Victorian Government to clear the way for the roll out of driverless and zero emissions vehicles to reap unprecedented benefits for the economy, community and environment. 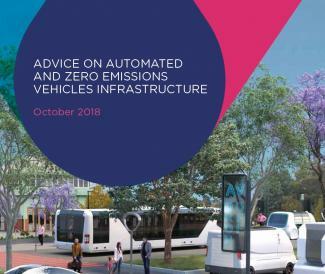 Infrastructure Victoria’s Advice on Automated and Zero Emissions Vehicles Infrastructure, released today, advises the government and the private sector to take action now to ensure the state positions itself to realise the significant potential of these new vehicles. “Our research found these vehicles could significantly reduce traffic congestion and greenhouse gas emissions, dramatically improve access to services, avoid car accidents caused by human error and add almost $15 billion per year to the economy,” Infrastructure Victoria CEO Michel Masson said. “Our work highlights the increasing interdependencies between the transport and energy sectors,” Mr Masson said. Infrastructure Victoria’s advice includes 17 recommendations, many for immediate action. “Government can take action right now to get Victoria ready for new vehicle technologies,” Project Director Dr Allison Stewart said. “Integrating on-demand and mobility as a service into the public transport mix and sharing our transport data in real-time could support our transport system and attract new and innovative companies and services to Victoria. “Allowing flexibility in our planning regime to make it easier for people to charge their electric vehicles could also have an immediate impact,” Dr Stewart said. The report also recognises that one of the biggest challenges facing government is public sentiment and people’s willingness to try and accept new technology. “There are many uncertainties and challenges but the expected benefits cannot be ignored – this technology could potentially be the biggest transformation to the state since the arrival of the car itself,” Mr Masson said. Infrastructure Victoria’s advice to government is the result of an intensive 12 months of evidence gathering, analysis and consultation. It includes specialist reports across ten areas and also covers the potential sequencing, timing and scope of infrastructure delivery. It is the most comprehensive body of evidence in this area in Australia, and possibly the world, and is all available on the Infrastructure Victoria website.